Aluminum screws with posts that fit into our screwpost menu covers and wine list covers. 1/2 in. 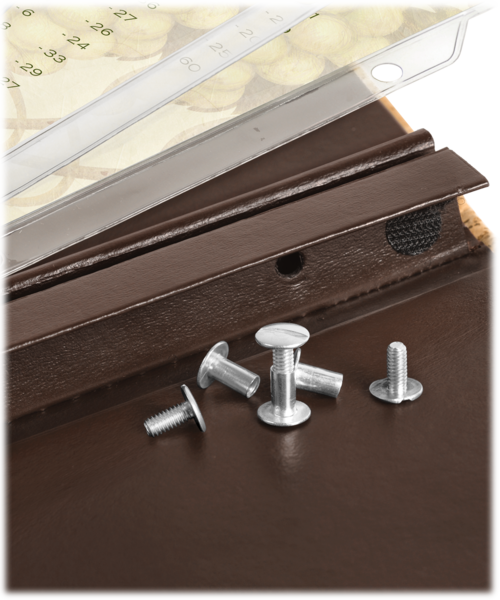 screws will accommodate up to 15 sheet protectors. Prices are for boxes of 100. 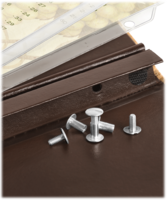 Accessories for your menus with posts, get screws and posts to make sure that your menus are complete and you don't leave a bad impression.